For all of the reasons above and a few more besides, your building will likely make you put down a substantial security deposit before you begin your renovation. 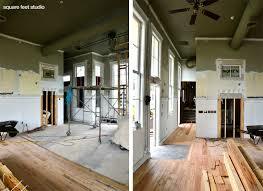 They will also require you to purchase insurance sufficient to cover any renovation damage. And, in some cases, they may also require a bond. Should you not pay your contractors, architect or others involved in your renovation, your co-op board will almost always have a clause in your alteration agreement requiring you to remove any mechanic’s liens placed against the property. Since you will be held liable for any damages your renovation causes to either the building itself or other shareholder’s apartments, your insurance carrier will likely require complete documentation of all areas of your building and other resident’s apartments likely to be affected by your renovation to avoid paying for damages that were not yours. Your insurer, for instance, does not want to pay for a crack in the wall of your next door neighbor’s apartment if, in fact, the crack was already there before your work even began. This will likely involve having a representative from your insurance company enter, photograph and document your neighbor’s apartments and belongings, which, let’s face it, is not likely to earn you warm, fuzzy feelings from your neighbors.